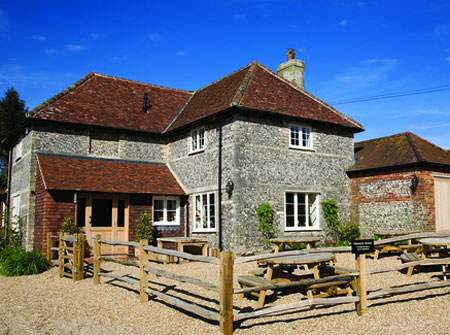 The Woolpack Inn is a charming country pub with rooms situated in Totford, the smallest hamlet in England. The Grade 1 listed flint and brick building dates back to around 1880 when it was built to provide sustenance and accommodation to travellers on the Drovers Trail between Alresford and Stockbridge. The Woolpack Inn has a well established reputation for serving good food and drink, offering a great range of pub classics alongside finer dining dishes plus a children’s menu. It has seven well-appointed double bedrooms, including a suite benefitting from two bedrooms and a shared bathroom, a small private dining room, and plenty of outside space with a newly extended car park. For more information visit the pub’s website.